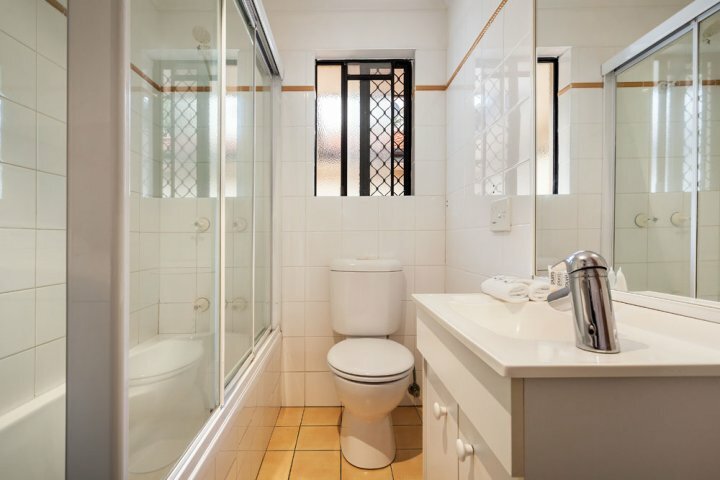 The modern, interconnecting studio, one and two bedroom apartments are fully equipped and feature balconies or patios. Centred around a large tropical entertainment area complete with swimming pool, outdoor spa, sauna and barbecue area, Quest Ascot provides an ideal base for the business or leisure traveller, where broadband is available. 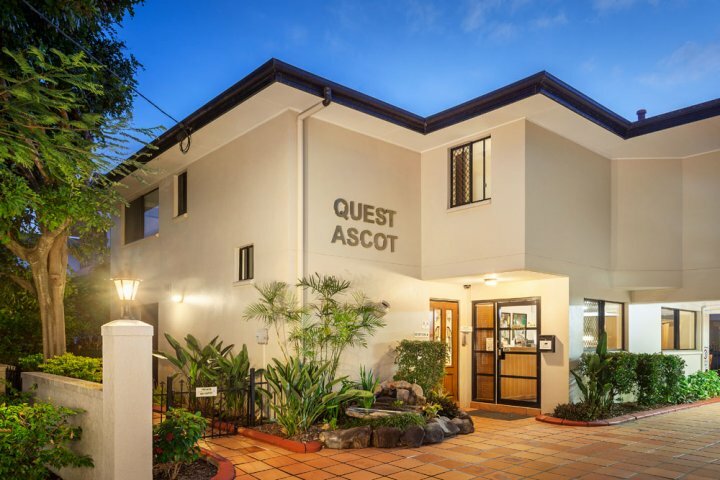 Quest Ascot features a Mini Gym but also offers guests passes to a full comprehensive equipped gym which is located 2 blocks from the property. 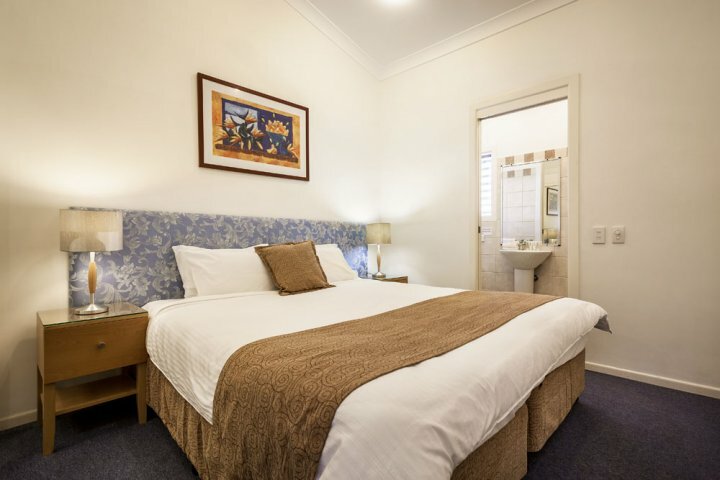 We aslo offer the convenience of a pantry shopping service and breakfast packs to make your stay even more comfortable as well as a charge-back facility at a selection of Racecourse Road restaurants and complimentary undercover parking. 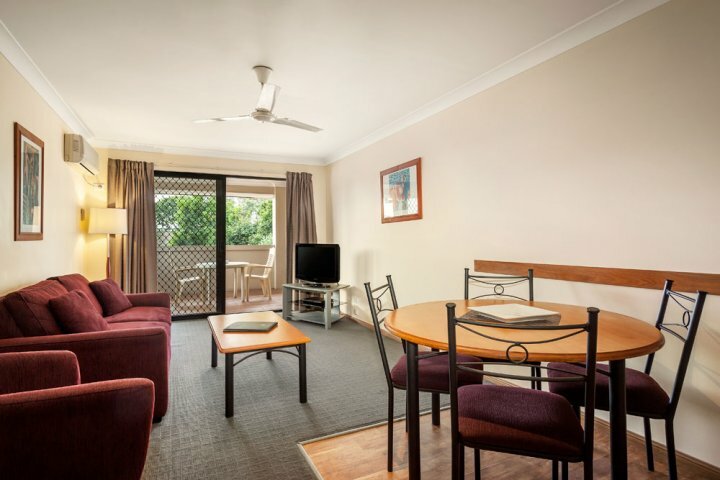 For the leisure traveller enjoy an ideal location in the heart of Queensland's stylish racing precinct. 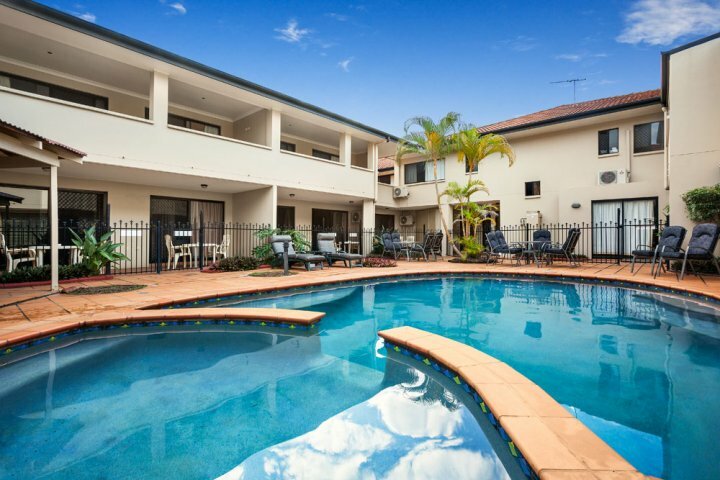 Conveniently located just minutes from Eagle Farm, Doomben and Albion Racecourses. 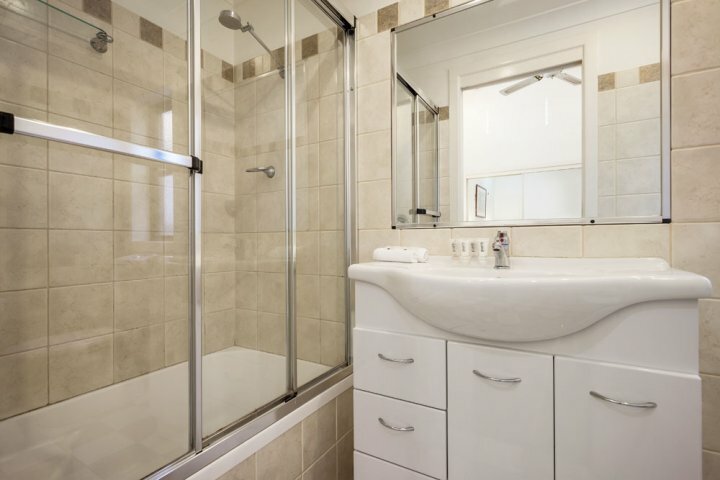 Situated only a short ferry ride from Southbank Parklands and Brisbane CBD. 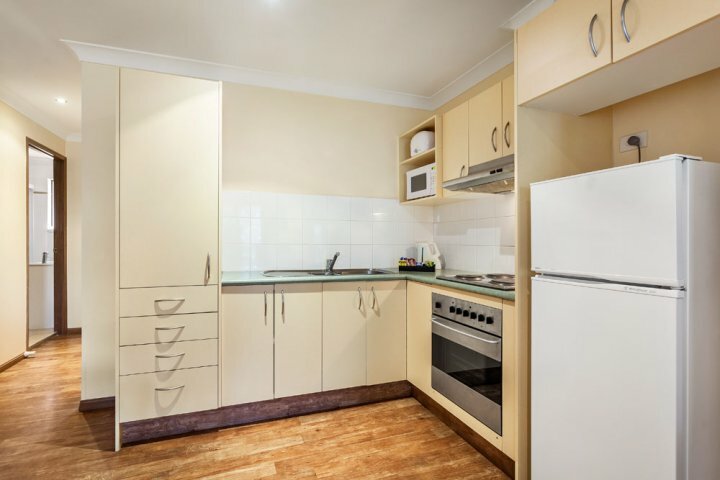 Within walking distance to Restuarants and Boutique shopping at Racecourse Road as well as easy access to Toombul Shopping Centre and The DFO (Direct Factory Outlet). The apartments at Quest Ascot maintain a strong appeal with families, as they provide the convenience of facilities such as a fully equipped kitchen, private laundry and spacious lounge/dining area, offering families a home away from home. We have an outdoor pool, spa and BBQ area provided for guests use. 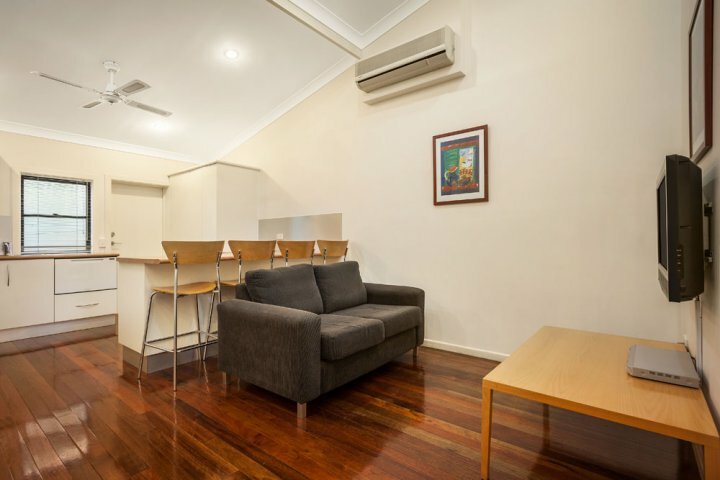 The one bedroom apartment is an ideal alternative to a traditional hotel room, where guests can stay in an apartment that provides a fully equipped kitchen, private laundry and a spacious living room. The apartment accommodates up to two guests in a Queen Size bed - extra person rate $17 (for rollaway and/or sofa bed). At Quest Ascot, you will find our spacious studio apartments very inviting. 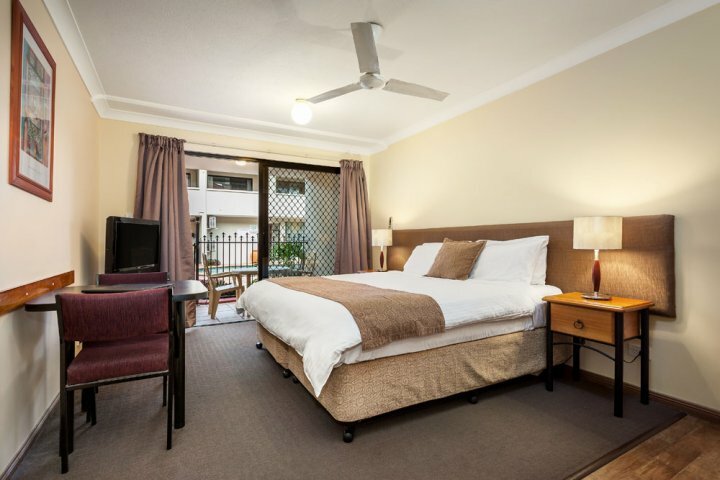 All of our rooms feature a King bed or 2 singles with balconies or patios. Extra person rate $17 (for rollaway and/or sofa bed). 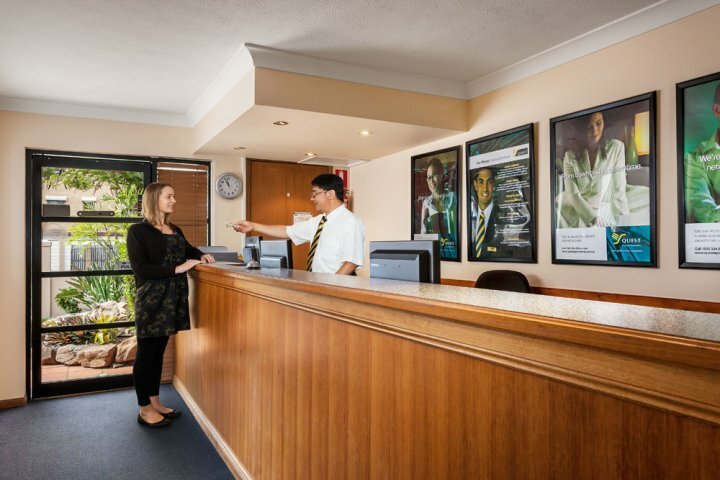 Dedicated telephone lines for fax/modem, Broadband, Secretarial Service to add that finishing touch to any business request, Valey Dry Cleaning, Restuaurant Charge-Back Facilities, there is Broadband facilities fitted into all our rooms for a charge of $10.00 per day. Reception hours are from 7am - 7pm Monday to Friday and 8am - 6pm on the weekends. Reception is located at 289 Lancaster Road. If you need to check-in after reception hours that can be organised with reception. There is an extra person charge of $17.00 per person per night. We have complimentry car parking for our guests. 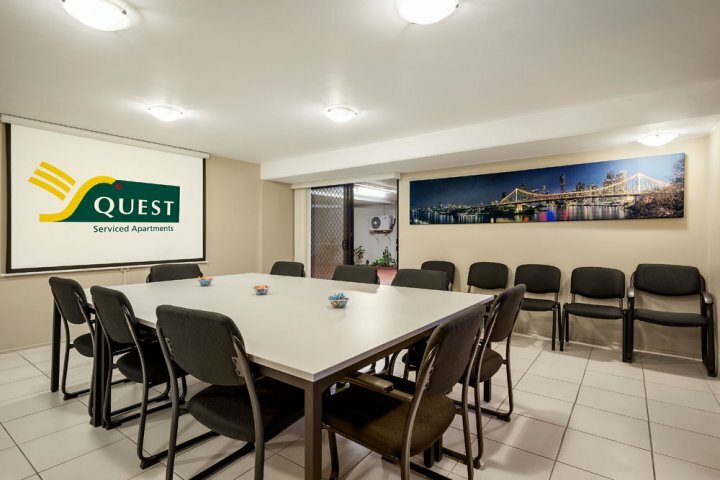 Centrally located for the business traveller, Quest Ascot is situated minutes from Brisbane Airport and Brisbane CBD and provides easy access to the commercial hubs of Pinkenba, Eagle Farm, Hamilton and Murarire. Southbank is one of Brisbane's most popular dining areas - day and night. There are more than 30 restaurants and cafes here, with the bonus of fantastic river and City views, so it's reputation is no surprise! A great experience for all the family - open 7 days a week. 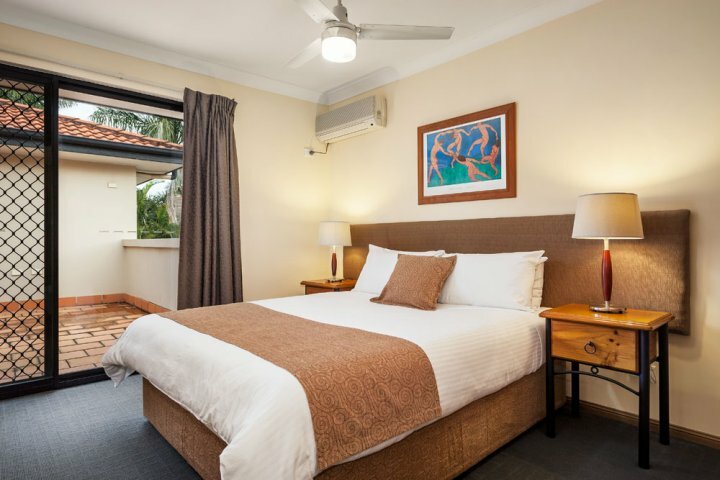 Visit the Art Gallery, Brisbane Convention & Exhibition Centre, Conrad Treasury Casino, Goodwill Bridge, Little Stanley Street, Markets and Qld Conservatorium Griffith University. 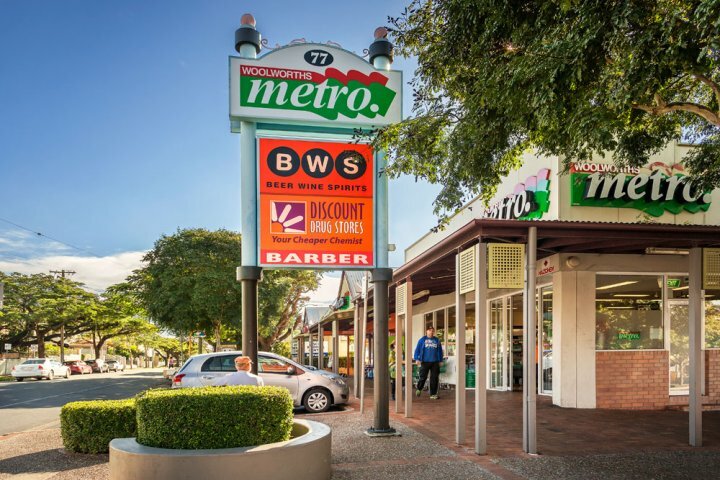 At DFO Brisbane youll find 100 big name brands all under the one roof. With so many brands to choose from, youre sure to find everything youre looking for in ladies and men's fashion, children's wear, footwear, handbags and luggage, homewares, lingerie and jewellery, more specialised stores and loads more. And to keep your energy levels up throughout your shopping day, there are food courts, cafes and juice bars. visit Australia Zoo (home of the Crocodile Hunter), Underwater World (take a journey to another world down into oceanarium),Lone Pine (get close up with koalas, kangaroos & emus) Fraser Island ( enjoy Rainbow Beach & Coloured Sands) Moreton Bay (whale watching aboard luxury Catamaran, 4WD Island Adventure, Snorkel & Swim at Blue Lagoon and experience the Aboriginal Legends.